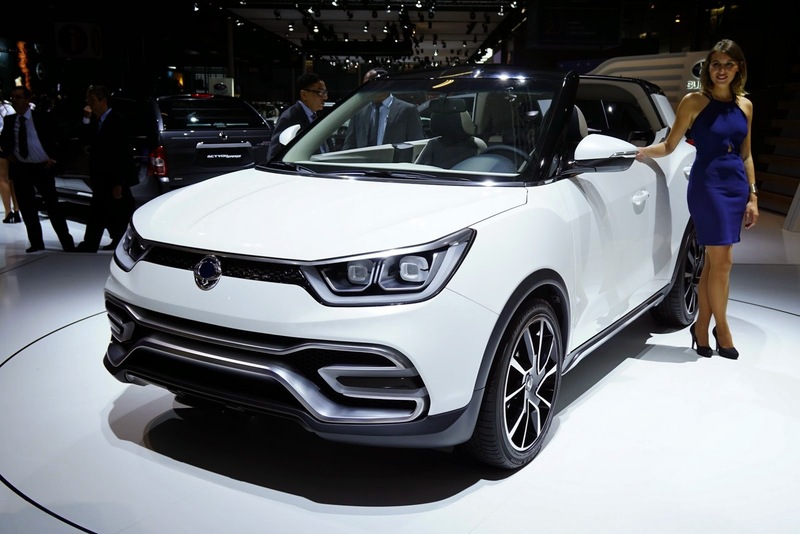 The fourth largest automobile manufacturer in South Korea, SsangYong introduces new concept car, called SsangYong XIV at the Paris Motor Show 2014. The concept car comes with the compact SUV or crossover genre, also prepared to interfere with new players like the Honda HR-V and certainly the Nissan Juke which has become the old inhabitants of this segment. 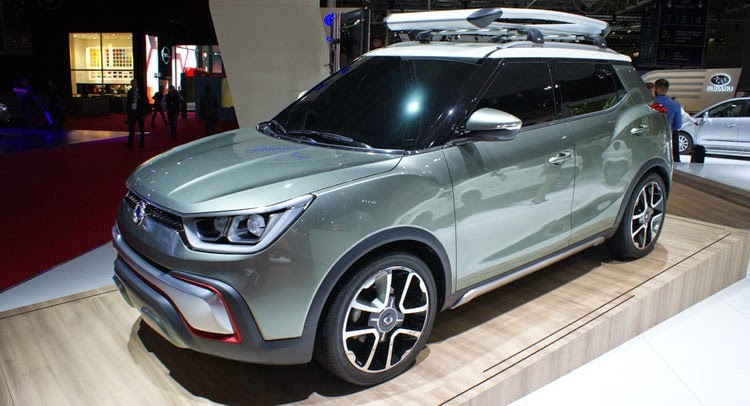 SsangYong XIV concept was introduced in two versions, namely Air and Adventure. The new concept is described as an "ideal vehicle for the urban with the active lifestyle and looking for fun outside of town." From the appearance, the Andventure variant looks more fierce with a pair of projector headlights combined with the thin honeycomb grille models. Its bumper looks sturdy and complex with a mud guard and a touch of red color on both sides. While the stern section looks layered from the rear bumper to the trunk door. Taillights has a shaped like a slim kite in upside down. The most obvious difference with the Air variants, can be seen on the open car roof. Not like the convertible model, but leaving the center of the car roof remains connected between the A-pillar to the C-pillar. In addition, the design also looks more smooth, elegant, and simultaneously throwing the macho impression that owned by Adventure variant. Departure from the eye distance from the ground is not too high, there are indications of this variant is aimed at urban consumers. 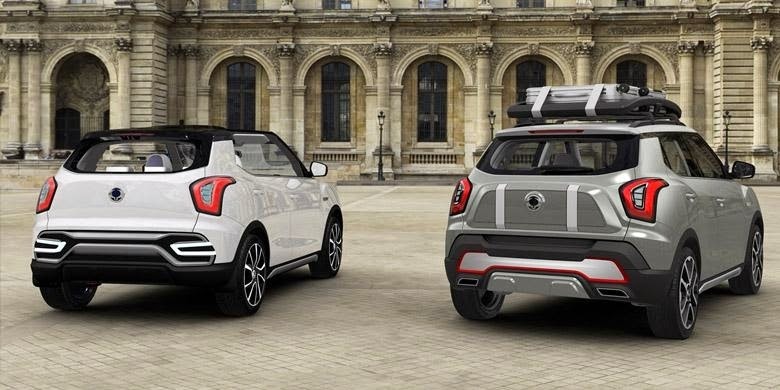 SsangYong have not been willing to disclose big plans for their XIV concept, but both models are predicted to go on sale in the Korean domestic market, starting next year, then followed by Europe.